I’ve already posted about homemade ketchup in my most about making my first hamburgers from scratch. 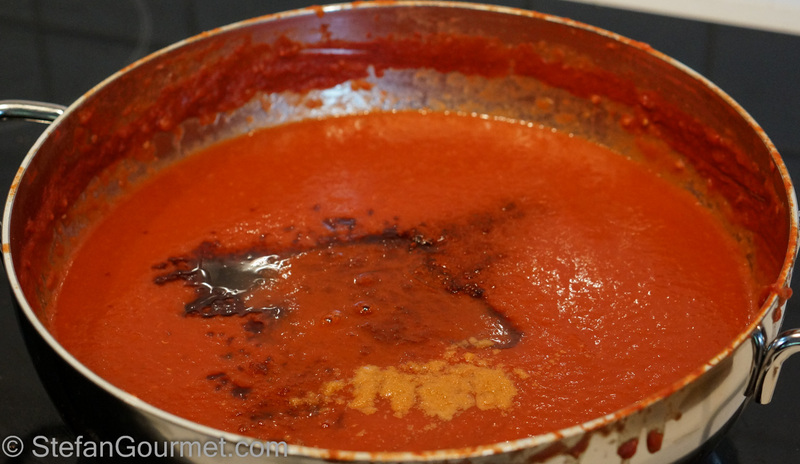 I wasn’t completely happy with the ketchup back then, and I’ve been experimenting a bit to find a recipe I liked better based on a recipe posted by ChgoJohn. 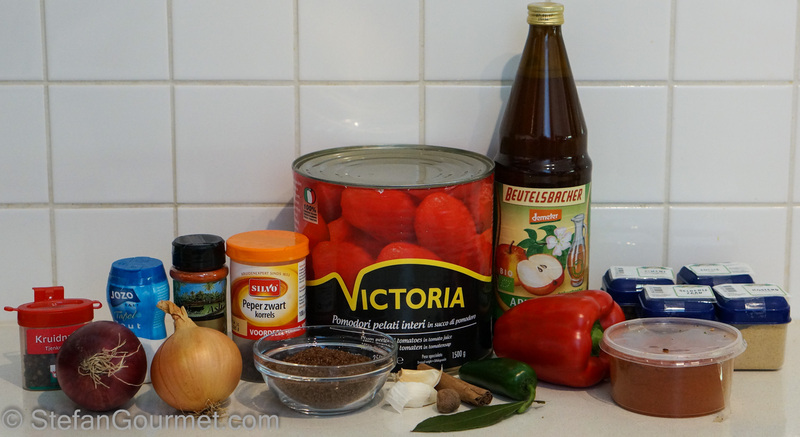 That recipe makes a very spicy ketchup, and I’ve made a few changes to suit my own tastes. That is the nice thing about cooking from scratch: you can tune the ketchup just the way you like it. 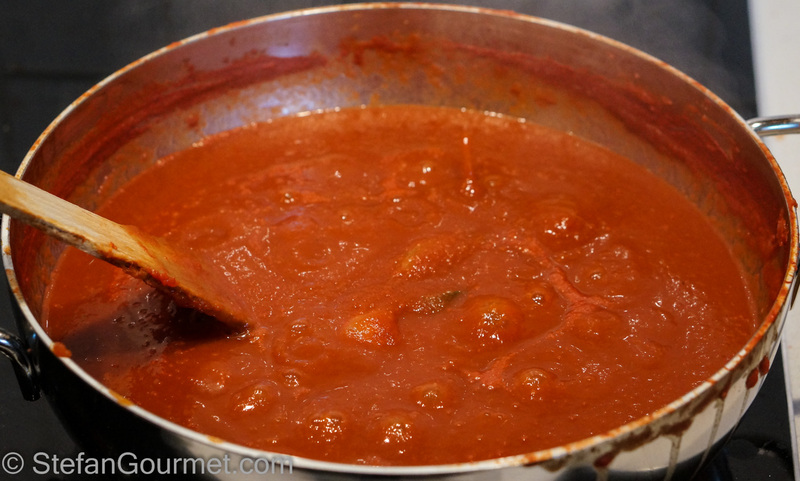 For example, you could leave out many of the spices from this recipe to make a more basic ketchup. Here’s my version, in which I have reduced the amount of spices and changed the cooking times. 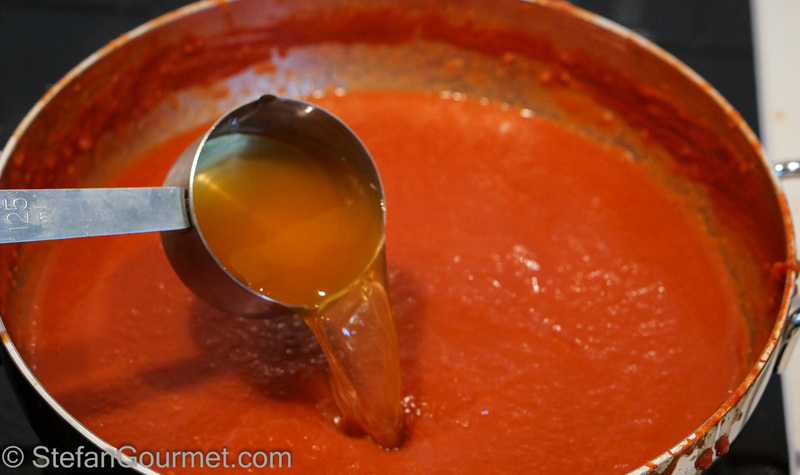 I’ve used canned tomatoes, as they are better than what is available fresh around here. If you do use fresh tomatoes, make sure they are very ripe. It’s okay if they don’t look perfect — they’re gonna be turned into ketchup after all. Roughly chop the bell pepper, onions, jalapeño, and garlic. 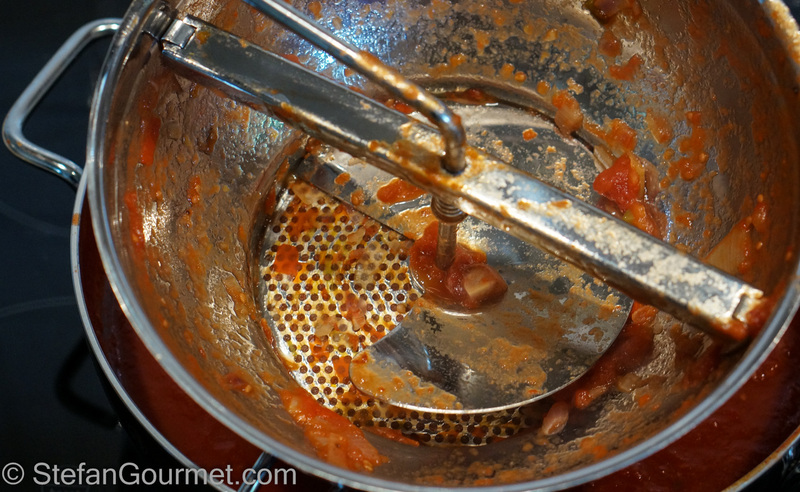 Pour the tomatoes with the juices in a casserole or Dutch oven. 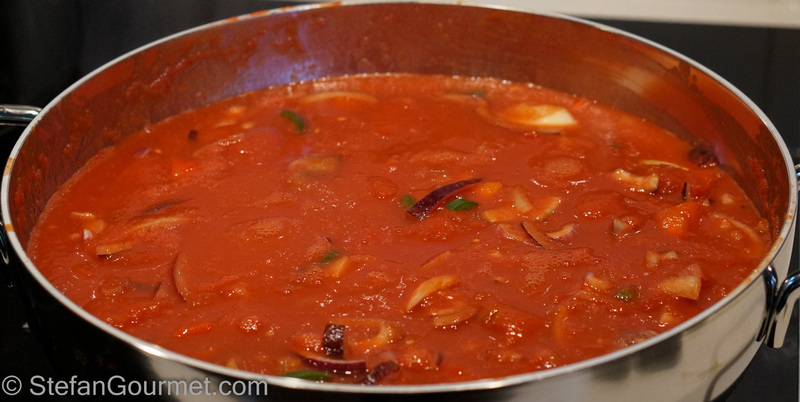 Reduce the heat to a simmer and cook, uncovered, until the vegetables are soft, about 1 hour. 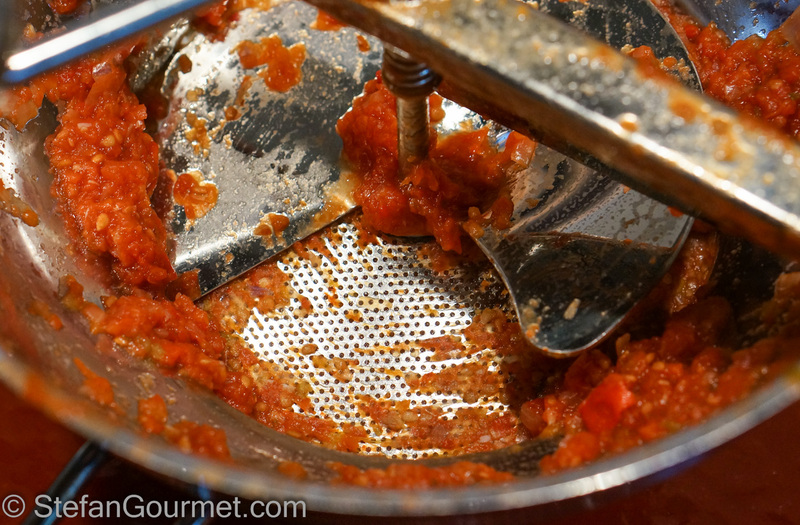 Pass the mixture through a food mill twice. First with a coarse sieve. …and the mustard and paprika. Make a spice pouch with the cinnamon, cloves, allspice, mace, celery seeds, peppercorns and bay leaf. 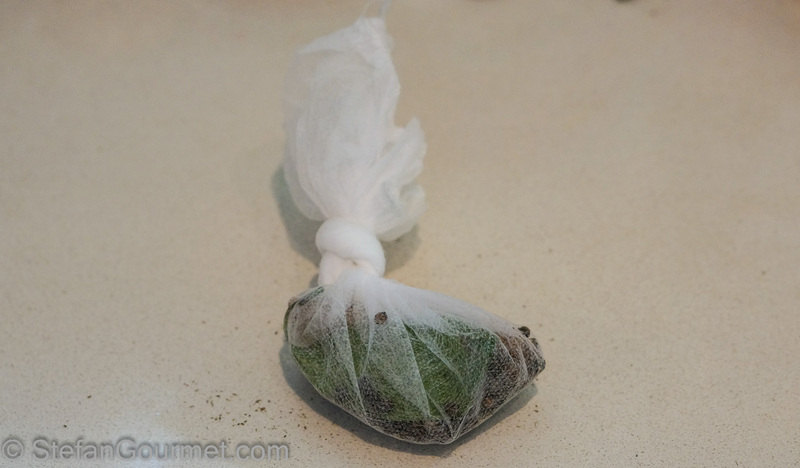 For this you can use a piece of muslin or a disposable hairnet, a trick I learned from Auldo. Add the spice pouch to the casserole. 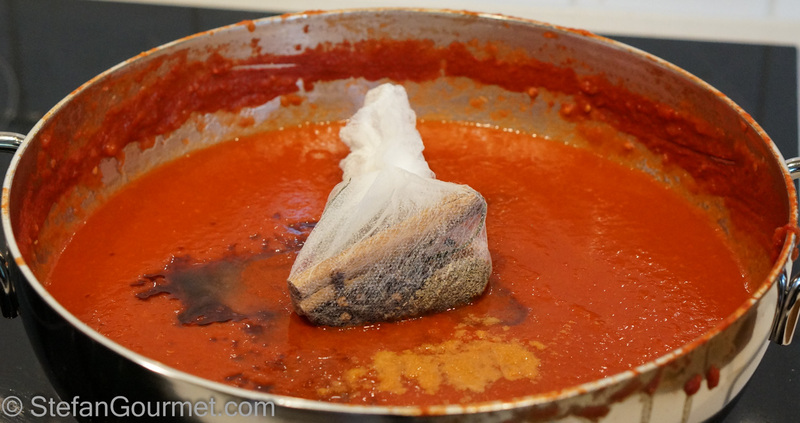 The pouch will allow the spices to give off their flavor without the spices ending up in the ketchup. 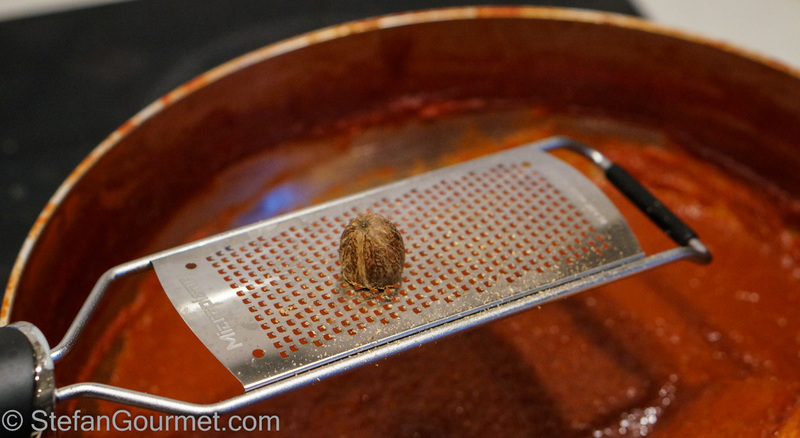 After 30 minutes, remove the spice pouch. 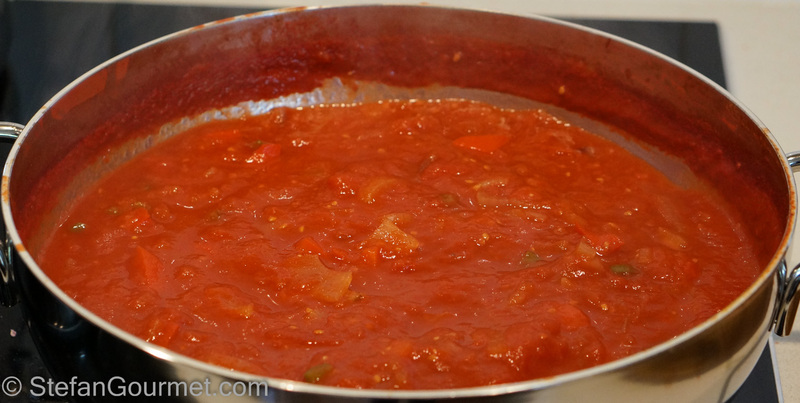 Simmer the ketchup until it has the desired strength and thickness. This can take an hour or longer. 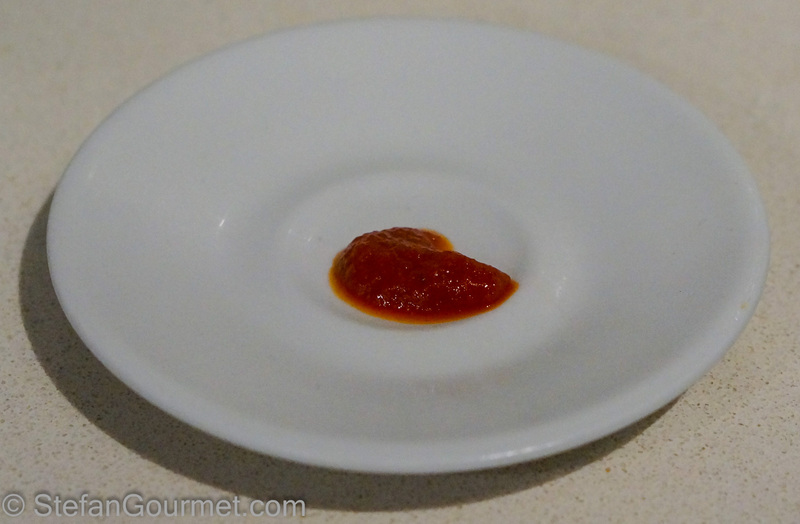 To try the ketchup, freeze a small dish for half an hour. 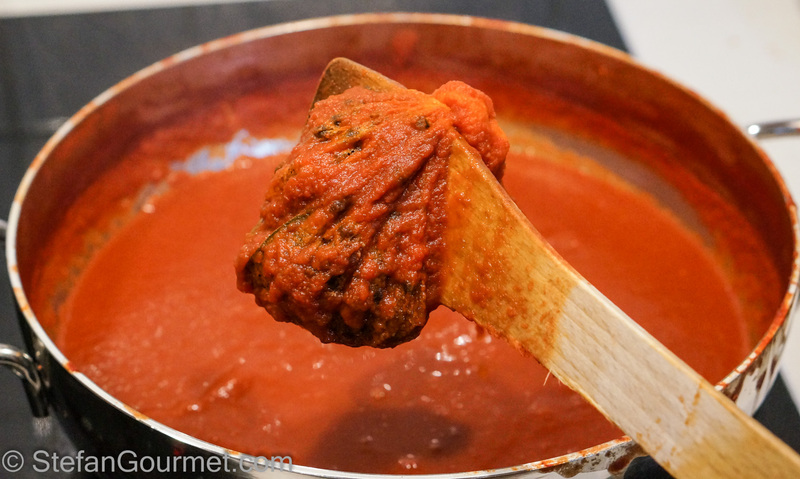 Put a teaspoon of the ketchup on the dish to cool it quickly. Then taste the ketchup. As ketchup is eaten at room temperature, it is better to taste it this way instead of when it’s still warm. 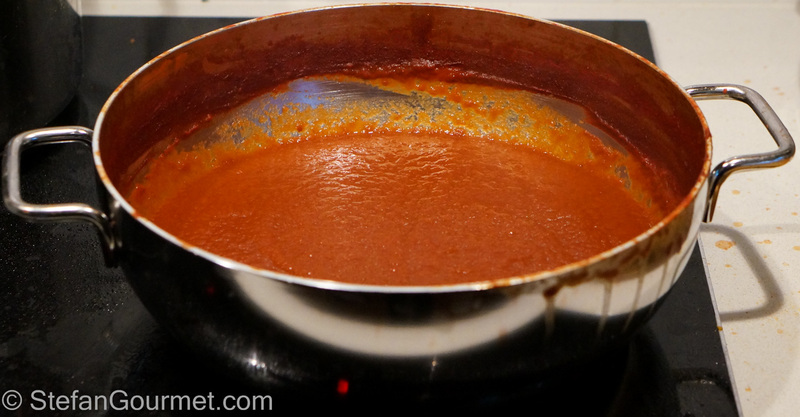 If the ketchup is still too thin or not strong enough, simmer it longer until it is to your liking. Finally, season the ketchup to your liking with salt, freshly grated nutmeg, and cayenne pepper. 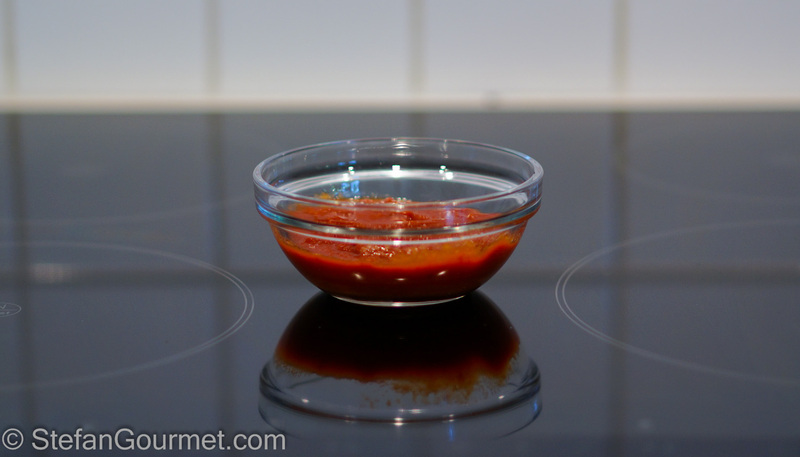 Put it in clean (sterlized) jars when it is still hot, and turn over the jars to allow the hot ketchup to sterilize the jar from the inside after it has been closed. When handled like this, the ketchup will keep for a very long time in the refrigerator. 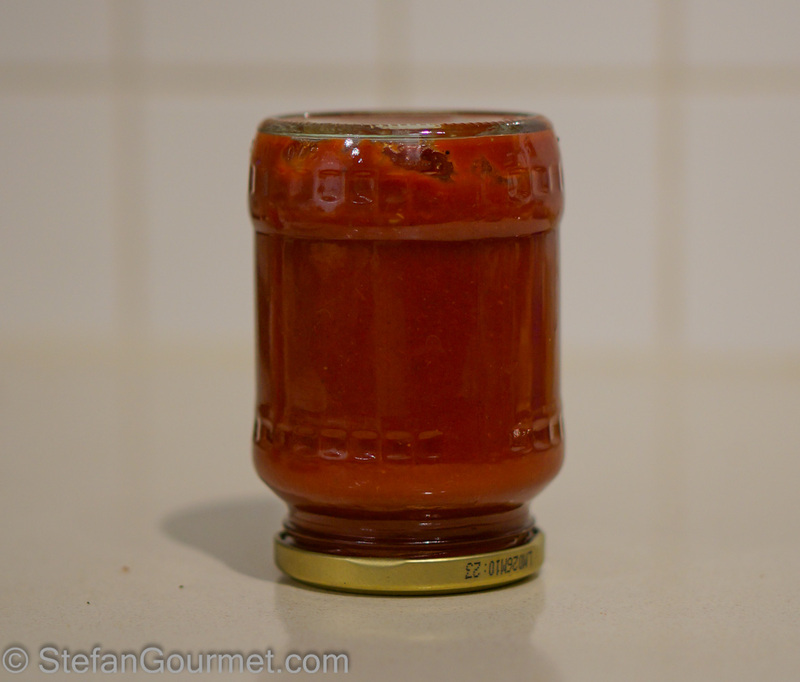 If you are into canning and such, you could process the jars to be able to store the ketchup at room temperature. Beef short ribs teriyaki are amazingly tender and juicy when cooked sous-vide. 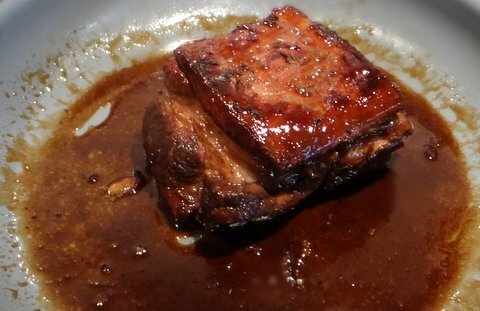 The bag juices can be reduced for a very flavorful sauce that is not just teriyaki but also beefy. I don’t normally eat ketchup, but I want to try this! Sounds great, will be making it at some point. Great, let me know how it turns out. I don’t eat much ketchup either — for sure don’t put it on everything. Thanks for visiting and taking the time to comment. Would love to hear how it turns out! Excellent food experimentation. So much work to get some ketchup. I assume that the end result is excellent too. I will definitely try this and experiment with alternatives to brown sugar that are lower glycemic options like coconut palm sugar (which tastes a lot like brown sugar). So exciting to have a healthier option to the store bought stuff! There is a place near us that serves smoked ketchup. Since trying it, I have wanted to make my own. I think this is a great place to begin! Lovely recipe!!! And your resulting ketchup looks so nice and thick! I’ve been making my own for a couple of years now. Don’t know why I waited so long. Next time I’m following this recipe to compare. Thanks! I wish I could taste your recipe, Stefan. Save me some. I am intrigued by your subtle use of warm spice. The sugar and apple cider vinegar are tried-and-true in catsup. As for the big question: what most amazingly scrumptious catsup-related posts shall follow? Well-done (this coming from an American, so you get extra chef points). Now I don’t use a great deal of ketchup but always have some in the house. Have always bought it methinks!! But this recipe is fun, fun, fun! And most of the ingredients are naturally already in one’s pantry. So it’s a case of finding time and a sauce making session will be on 🙂 ! 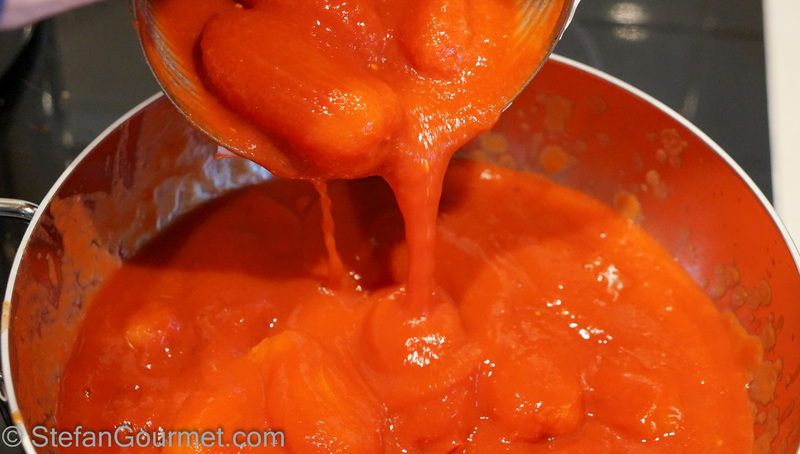 I really enjoyed making homemade ketchup using Chgojohn’s recipe. It’s pretty darn tasty, too. The barbecue sauce I made with the smoked ribs when you were here was based on John’s ketchup. Now that I’ve made it, I’m sure I will tinker with it, too. Wow. 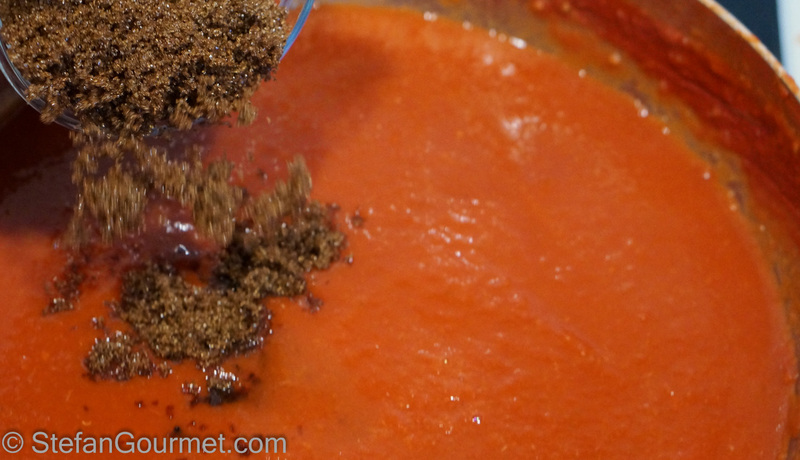 This looks like a cool thing to try – making your own ketchup from the finest ingredients. Thanks man!